Looking Back At WONDER WOMAN | Warped Factor - Words in the Key of Geek. November 1975 saw the start of a wonderful TV series. The rather paradoxically titled The New Original Wonder Woman began with a TV movie setting up the premise for the Amazonian Princess' adventures in "Man's world". This pilot took place during World War II, and saw U.S Air Force pilot Steve Trevor (Lyle Waggoner) shot down by a Nazi after a spectacular aerial battle over the Bermuda Triangle. He crash lands on Paradise Island, which happens to be home to the Amazons, a race of beautiful, ageless women of great strength, agility, and intelligence. Princess Diana (former Miss World USA 1972 Lynda Carter) wins the right to return him to said "Man's World" (it's how the Amazonian women refer to the rest of human society). And thus, Wonder Woman's career as a super-heroine begins, as she and Steve take on the Nazis and their various attempts to sabotage the U.S. war effort. One of the great things about Wonder Woman is that it really does feel like a real-life, live-action comic book. So much so, there are shots in each episode that closely resemble panels from a comic book. Another positive thing about the direction of the series is that it doesn't fall into the full-blown camp territory of its obvious predecessor, the 1966 Adam West Batman show, and it also doesn't take itself all that seriously. The tone was set just right, which means that even now, although it's dated, it's still a great fun show to watch through and through - well, most of it. The stunningly beautiful Lynda Carter IS Wonder Woman. In her civilian identity, she's bookish Diana Prince, and astute viewers will recognise that "Diana Prince" is the secret identity, whereas Wonder Woman is the true personality, much like DC Comics' male flagship character, Superman/Clark Kent. I've always thought this was the more interesting duality concept for superheroes. Carter must have been born to play the role as she closely resembles her comic book counterpart, she also exudes a raw-woman sexiness which no doubt helped to propel the series into the homes of millions of lustful male viewers, a wise casting choice for sure. Not only an actress of amazing beauty and physicality, Carter reportedly performed a number of her own stunts including dangling from a flying helicopter in the second episode of the second season. Wonder Woman is a role that Carter will forever be closely linked to and it remains her most famous part to date. Indeed, it may well be a forty year old series but thanks to re-runs and her complete encapsulation of the role it's a part she'll never escape. Another aspect of the series that makes it very interesting to watch is that the show retains the feminist appeal of the original comic book character. Because of this, it was often Steve Trevor who was in distress and needed to be rescued, and not the other way around. It's a great role reversal from what is normally seen in most superhero comic book shows, and most television series' in general. One aspect that originated here in the TV show and has gone on to become synonymous with the character, was the spinning transformation of Diana Prince into Wonder Woman. Prior to this the transformation was depicted in the comics by way of Diana spinning her magic lasso around her body, with the lasso changing her clothes, or she would simply change at super speed. 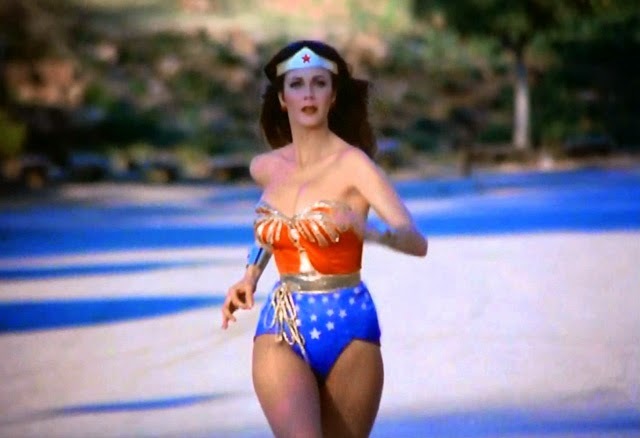 When it came to filming the pilot producers were looking for a more successful way to depict this change on screen, and it was Lynda Carter herself who suggested that she do a spin. This transformation was later incorporated into the comics and into some of Wonder Woman's animated appearances, such as Justice League Unlimited. As enjoyable as the show is to watch on the screen there were clearly lots of creative issues going on behind the scenes. Wonder Woman's original concept kept changing over its three seasons. The first year, aired on ABC and was a solid hit for them, but they were reluctant to renew the series as being a period piece it was more expensive to produce than most other shows of the time. 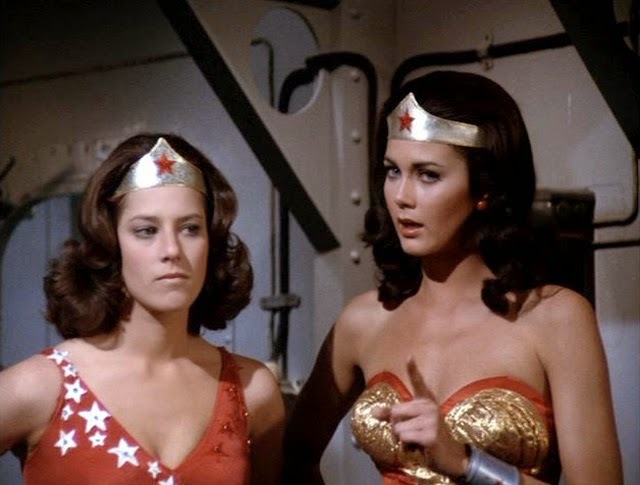 CBS threw a lifeline to Wonder Woman and commissioned a second season, which saw events move into the then present day, the mid-1970s, as Diana once again returns to Man's World to battle all manner of evil - terrorists, evil geniuses, your typical crooks, and even Nazi war criminals hiding out in South America. 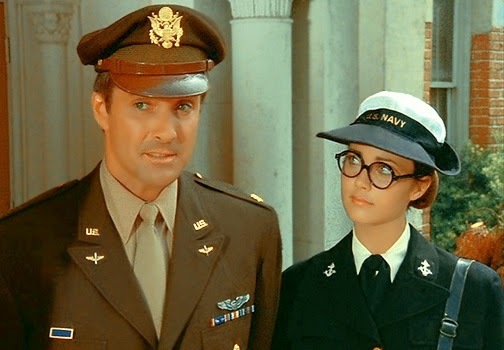 She once again teamed up with Steve Trevor, or rather, Steve Trevor, Jr., the son of the lead male protagonist from the first season (who is still portrayed by Lyle Waggoner). Keep your eyes peeled for a young Debra Winger who appears as Diana's perky younger sister Drusilla/Wonder Girl. Come the third season in 1978, additional creative changes saw the style of the show revamped to a more teen-friendly disco-tinged style. And finally, in the last episode produced that year (which was actually shown out of sequence as the anti-penultimate installment of season 3), the writers attempted a relaunch of sorts by having Diana move to Los Angeles with a new supporting cast. This was done in anticipation of a fourth season, but, sadly, all of these endless reinventions didn't help the show survive for another year. Wonder Woman is a classic superhero series in every sense of the word. In my opinion the first season is the best, but all three make for enjoyable viewing. The early reports on Batman vs Superman are looking mixed, but there's a lot of praise when it comes to Gal Gadot's take on Wonder Woman. 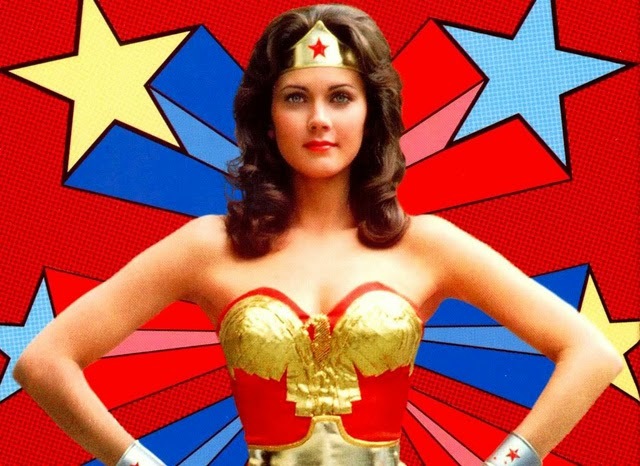 Still, I think it's still likely that Lynda Carter's incarnation of the DC Comics super-heroine will always remain the most loved live-action portrayal of the character, regardless who may don the satin tights today or in the future, whether that be on television or in the movies.